The Erivan K. Haub School of Business (“HSB” or “Haub”) at St. Joseph’s University, located in Philadelphia, PA, was established in 1979 as a Jesuit institution. While the school still maintains a connection to its Jesuit roots through courses that stress business ethics and values, students of all faiths are welcome to attend St. Joseph’s and HSB. It is accredited by the Association to Advance Collegiate Schools of Business (AACSB), for which HSB’s Dean served as board chair in 2012-2013. St. Joseph’s 105-acre main campus is located in Northwest Philadelphia on City Avenue. HSB students may also take classes at the school’s Collegeville campus at Ursinus College or online for the Professional MBA and MBA in Pharmaceutical and Health Care Marketing. All MBA course materials and instructors remain the same across these three delivery options. The main campus is located less than 13 miles away from the Philadelphia International Airport. The business school is housed in Mandeville Hall. Built in 1998, the building includes a library, a food marketing information center, and an interactive investment and trading classroom known as the Wall Street Trading Room. The Haub School boasts 84 full-time faculty members. 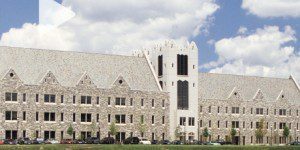 Saint Joseph’s University, one of the largest Jesuit schools in the U.S., enrolls 8,085 students; 2,941 of which are enrolled in its graduate programs. Approximately 54.5 percent of all St. Joseph’s students are women. A reported 616 students are currently enrolled in the Erivan K. Haub School of Business’ MBA programs. Haub supports a traditional full-time or part-time MBA program for working professionals, four EMBA degree options, and an online MBA.